AFLI appreciates, and depends upon, the financial support of our sponsors, foundations, alumni and individuals. These generous contributions allow us to provide world-class programmes, and to sustain a growing network of high-potential leaders from across Africa. There are several ways to contribute to AFLI’s vision and success, either as an individual or as an organisation. Please join us in making our funding goals a reality. Please use the purple Paypal picture titled "Help Us Grow Africa's Future Leaders" to make a donation. If you are in the United States, it is possible to make a tax-deductible donation to AFLI via the American Friends of the African Leadership Institute. Gifts by check: Address your check to KBFUS, write “African Leadership Institute” in the memo section of the check, and send it to KBFUS, 10 Rockefeller Plaza, 16th Floor, New York, NY 10020. Gifts by credit card: Donations in various amounts can be made to AFLI a secure donation site managing AFLI's donations in the USA. Please visit our page at that site. 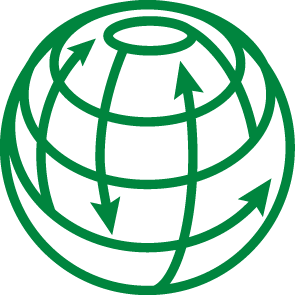 Gifts by wire transfer or to contribute other types of property: Contact KBFUS via email or phone (212) 713-7660 and specify the contribution or gift is for AFLI. 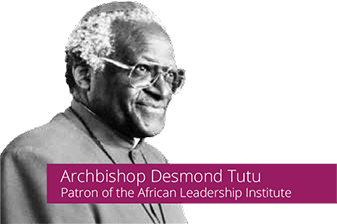 Become a sponsor of the prestigious Archbishop Desmond Tutu Leadership Fellowship and enjoy access to a network of Africa’s top young leaders spanning a multitude of sectors. Corporate sponsorship packages start at USD 30,000. Please contact the CEO, Dr Jackie Chimhanzi, regarding corporate sponsorships. The transformation of Africa is going to be achieved through this generation of young leaders. The Desmond Tutu Leadership Fellowship is a unique programme that equips leaders possessing a strong moral compass and unwavering resolve to elevate Africa’s profile, with the skills and knowledge required to create a stronger Africa. By investing in the development of these leaders, your trust or foundation will be maximizing its impacts on the continent. As we continue to develop AFLI, we are looking to prestigious leaders to seed our endowment fund. These individuals believe in proliferating the leadership values espoused by Archbishop Desmond Tutu, and apart from their financial contributions, will have the opportunity to share their expertise and experience with the growing network of Tutu Fellows across the continent.